Cycling is one of the most famous fitness regimens today. It benefits the whole body, particularly the legs, and improves balance. Not only that, but it is also a very economical medium of transportation. This dual functionality is the reason why it is adored by a lot of individuals all over the world. However, riding the bicycle for too long can be sometimes detrimental to the body. It happens because the muscles and the joints used during cycling haven’t been decompressed, especially the lower back and the hamstrings. These two are the most common region where cyclists usually feel pain or discomfort. It is mainly due to muscle stiffness caused by sitting and pedaling for an extended amount of time. Incorporating yoga as a part of any fitness regimen is starting to gain a wave of popularity. Practicing yoga is a great way to counter muscle stiffness and accelerate the body’s healing process. Follow these poses to help enhance your cycling journey. 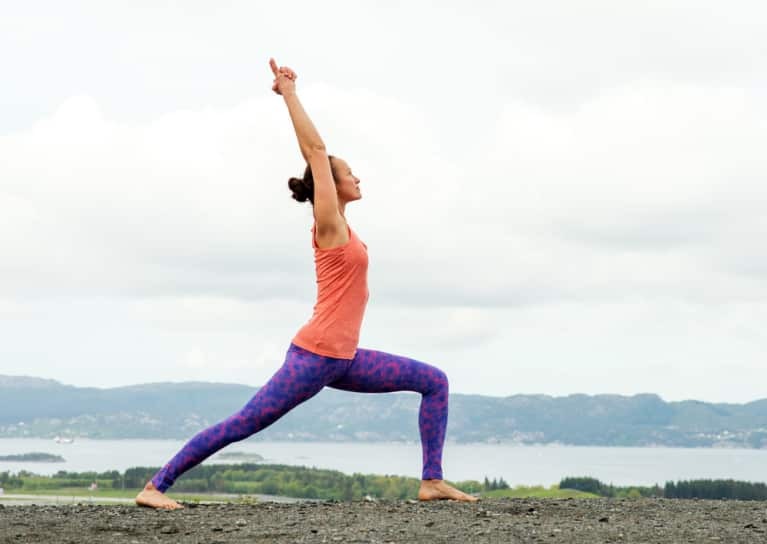 Warrior I: This pose opens the shoulders and stretches the thighs, the groin area, and the ankles while strengthening them. It also improves balance and focus. How: Start in a plank position. Take a breath in. Then, as you exhale, pant your left foot between your hands. Rise, keeping a 90-degree angle on your left knee, and your right toes turned out on a 45-degree angle. Place your hands in prayer and extend them up to the sky. Hold this pose for 5-5 breaths. Perform the same process on the other side. Lizard Pose: It is a deep hip opener and gives the whole front of the legs an intense stretch. Open hips allow a wide range of motion, which is very beneficial to a cyclist’s pedaling performance. Decompressing the legs is a must to avoid stiffness due to pedaling. How: Stabilize yourself in a plank. Then, bring your right foot beside your right hand. Send your weight forward and make sure that your knee is at a right angle. After that, lower your back leg to the ground. You must keep in mind that there shouldn’t be any strain on your knees, and the right leg must carry your weight. Take a deep breath in and lower down to your forearms by bending your elbows. Keep your gaze forward and push the shoulders away from the floor. Stay in this position for ten breaths while lengthening your spine with every exhale. Do the same on the other leg. These yoga poses target the legs, the lower back, and the hips. Make sure to stretch after doing any physical activity to help your body easy out and rejuvenate faster for a stronger comeback. 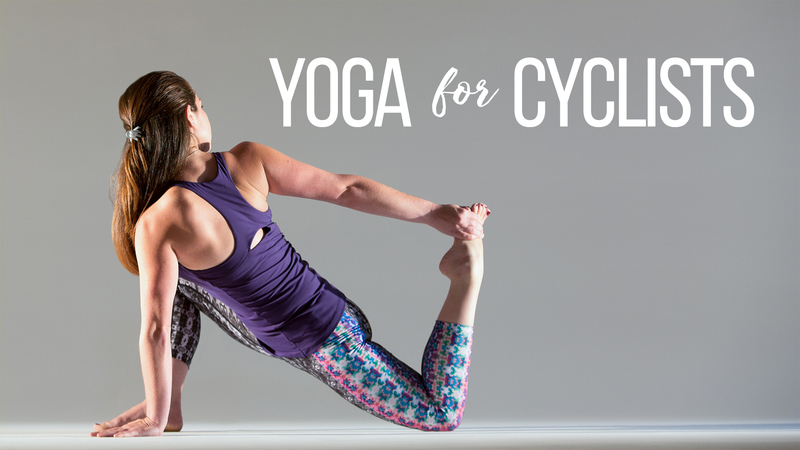 Mix in yoga as a cool down and feel the changes in your cycling performance. Having durable and comfortable workout clothing that can go hand-in-hand with your active lifestyle can save you a lot of hassle. Find a pair of leggings that allows you to move freely without worries. Always listen to your body to avoid any injuries. Allow yoga to help enhance your overall well-being. Decompress and relax in these poses after every ride to aid in your body’s recovery. Always be open to possibilities and have fun keeping your body and mind at their best.